Laurel believes in fitness for everyone, for life, and loves helping people feel strong and empowered through each workout. .
Laurel grew up playing a variety of sports and played college soccer at Corban University. Upon finishing her college career she craved the socializing team sports brought her and began teaching group fitness classes and then personal training. Laurel holds a Masters from Gonzaga in Sports Management as well as national certifications in personal training and group fitness. She is a Strongfirst level 1 instructor as well as a Yoga 200 hour instructor. 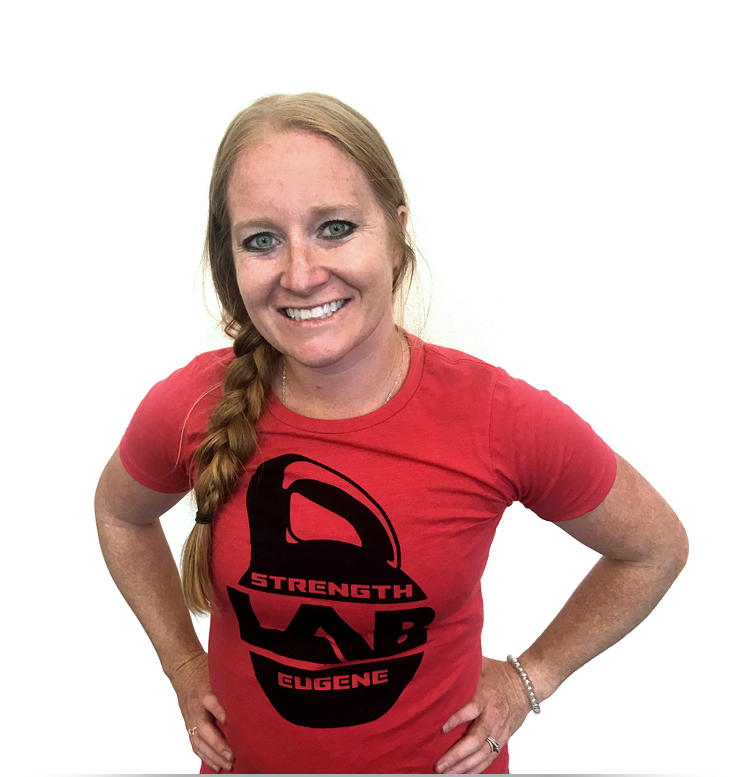 She believes in fitness for everyone, for life, and loves helping people feel strong and empowered through each workout. Recently, she had moved back to the Eugene area from Boston, where she worked as the general manager for Harvard Recreation. When she’s not working out she enjoys spending time in the outdoors with her Husband, matt and son, Trey.